Bohemian glass, chiefly referred to as BOHEMIA CRYSTAL, is glass produced in the regions of Bohemia and Silesia, now parts of the Czech Republic. It has a centuries long history of being internationally recognised for its high quality, craftsmanship, beauty and often innovative designs. Hand-cut, engraved, blown and painted decorative glassware ranging from champagne flutes to enormous chandeliers, ornaments, figurines and other glass items are among the best known Czech exports and immensely popular as tourist souvenirs. The Czech Republic is home to numerous glass studios and schools attended by local and foreign students. George Ravenscroft - (1632-1683). Was an English businessman in the import/export and glass making trades. He is primarily known for his work in developing clear lead crystal glass (also known as flint glass) in England. Into the crystal forest: Saint-Louis launches the Folia collection by NoÉ Duchaufour-Lawrance - The Telegraph. Lead glass - commonly called crystal, is a variety of glass in which lead replaces the calcium content of a typical potash glass. Steuben Glass Works - Wikipedia. Val Saint Lambert - Wikipedia. Ajka Crystal - since 1878. AUDUBON COLLECTION - since 1818. Brooks Brothers. BACCARAT CRYSTAL - founded 1764. "A symbol of beauty and crystallized perfection, Baccarat has been a celebration of transfigured senses since the Age of Enlightenment." BOTTEGA DEL VINO CRYSTAL - "Experience Your Wine." Offers a simple, elegant line of hand blown, lead free crystal wine glasses and decanters designed to enhance every dining experience. Christofle - since 1830. 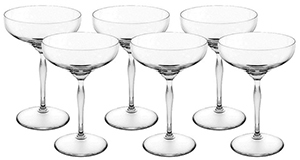 "Champagne flutes, stemmed glassed, wine glasses, water glasses, and more." DAVID REDMAN - since 2005. "Global leader in making luxury glasses and crystal items. David Redman glassware is ideal for formal dinner parties and fine dining." HermÈs - since 1837. "Intervalle - This range of crystal reinvents the diamond cut: the intervals are widened and this allows the crystal to breathe once more." J&L LOBMEYR - founded in 1823. "Lobmeyr glasses are first mouthblown, then cut, engraved and polished by hand, every single product is handled with the care of at least 18 hands during production. Many details are taken into consideration for the perfect balance of shape and function." 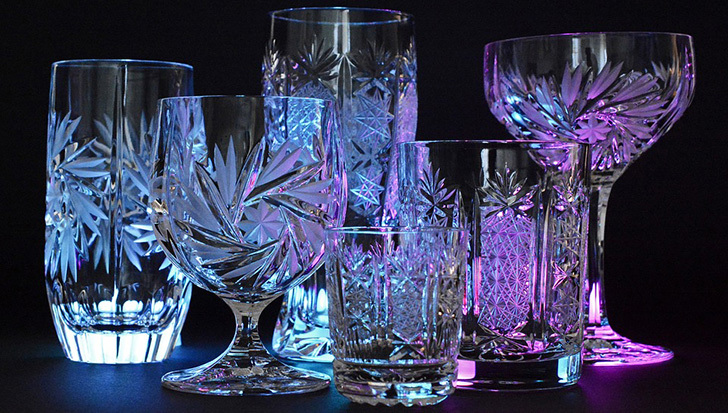 LA MAISON DU CRISTAL - "Crystal glasses, vases & decanters to buy online." LALIQUE CRYSTAL - "Founded over a century ago, in 1888, Lalique has endured as the ultimate symbol of French luxury." Crystal glassware: Wine glasses, champagne flutes, shot glasses & tumblers. Linley - "Luxury crystalware designed designed to meet all your dining needs." LUIGI BORMIOLI - founded 1946. "Tableware in superior crystal glass." NORITAKE - "Since 1904, Noritake has been bringing beauty and quality to dining tables around the world." Crystal stemware. Philippe Starck - Baccarat Hartcourt Darkside Flute Set. RAVENSCROFT Crystal - "The Leader in Handmade, Lead-Free Crystal." Ravenscroft glassware designs are developed out of the deepest respect for great wine and are hand blown in nearly 30 different styles. RICCI ARGENTIERI - Casa Crystal Collections. Rchard Ginori 1735 - "Made in Italy." Drinkware. All collections. RIEDEL CRYSTAL - established in Bohemia in 1756. "The Wine Glass Company." RIEDEL produces glass collections and decanters for every lifestyle and price range, whether for critical wine evaluation, a picnic or dinner. Ritz Paris Essentials - Imperial Crystal collection. Robbe & Berking - since 1874. Crystal bowl. Rosenthal - since 1879. "Gala Prestige - Rosenthal meets Versace. Luxurious and elaborately decorated." ROYAL DOULTON - since 1815. "Find the perfect crystal glasses, decanters and tumblers for celebrations, entertaining or casual drinks to accompany any occasion. Sample the latest gin creation from your recipe list or serve a measure of Scotch or whiskey over ice with Royal Doultons timeless drinkware collection. 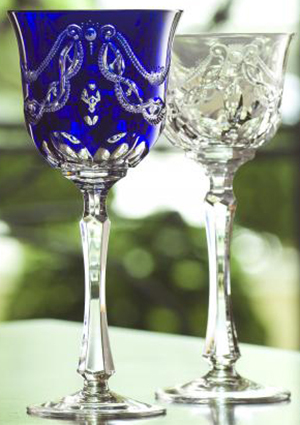 Royal Doulton's fine cut elegant crystal is perfect to compliment any drink and a great way to host guests in style." SCHOTT ZWIESEL - since 1872. Manufacturer of crystal glass. 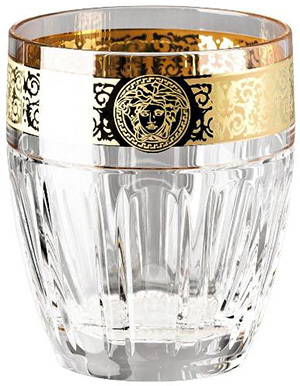 The Romanov Collection Crystal - "We offer three of the finest crystal brands in the world on our site. All crystal is manufactured in Europe, by hand, and is only of the highest quality." VAL SAINT LAMBERT - "Handmade crystal artworks since 1826." Official Supplier to H.M. the King of Belgium. Varga Art Crystal - since 1972. "Handcrafted in Budapest Hungary by master glass Artisans." 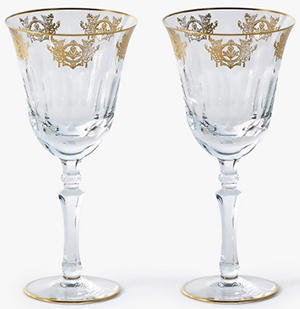 VILLEROY & BOCH Crystal - founded in 1748. "From champagne flutes to wine glasses and more, you'll find everything you need to outfit your at-home bar in Villeroy & Boch's crystal glassware collections." Vista Alegre - since 1824. "Striking and timeless pieces, bringing together the best of craftsmanship in the shaping of the crystal and contemporary design trends. Elegance and sophistication suited to any environment." WATERFORD - originally founded in 1783. "Crystal Stemware & Drinkware." WEDGWOOD - founded in 1759. "Make your dinner table sparkle with our collection of luxury glassware. From designer wine & champagne glasses to tumblers. WILLIAM YEOWARD crystal - "William Yeoward Crystal, established in 1995, is an award-winning Collection of Crystal and Glass stemware, decorative pieces and tabletop wares. The Collection is entirely made by hand using techniques and cuttings from the past but each piece has an elegance and style that blends beautifully with contemporary interiors and tables of today."